Meet Dazza, the 11 year old black male Staffordshire Bull Terrier, who was presented to us in mid March. His owner had noticed some fresh blood in Dazza's poo and some occasional bleeding from his bottom. Dazza's owner did the right thing by bringing Dazza to the clinic. 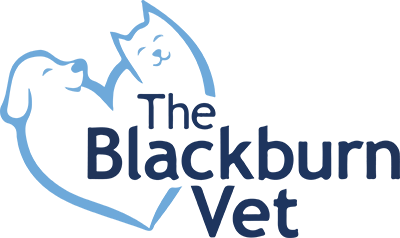 Causes of bleeding from the rectal area are numerous, some more serious than others, and they really need to explored by your vet. On examination, Dr Fiona Turner discovered a small grape like protuberance growing from Dazza's rectal wall. The growth was quite fleshy and was very likely the source of the blood. Dazza had pre-anaesthetic blood tests that day. The results of these tests were normal, so Dazza brought back to us the next day in order to further investigate this lump. On arrival Dazza was given a pre-anaesthetic admission examination, then admitted to our hospital. He was placed on an intravenous drip and soon settled down in his warm comfortable cage. Under general anaesthesia Dr Andrew Sellars-Jones examined the lump more thoroughly and was able to surgically remove it from the rectal wall. Dazza recovered from surgery brilliantly and certainly seemed more comfortable after his operation. Pathology tests revealed the lump to be a rectal polyp. These lumps (which also occur in us humans) are usually benign. What a relief for Dazza!